The 2019-2020 Concert Season is Here! If you are a current subscriber please contact our Box Office in order to renew your seat. Call 901-537-2525 or email at tickets@memphissymphony.org. Jessye Norman joins Memphis Symphony Orchestra in concert! An historic night for MSO and all of Memphis! MSO’s own Greg Luscombe plays a work written for Tommy Dorsey. David Neely leads the orchestra in a powerful work by composer Williams Grant Still, and one of the most famous of all works – Scheherazade! “The Three B’s!” Maestro Moody and Ben Beilman – one of the top violinists in the world – join MSO for an amazing journey through the music of giants Bach, Beethoven, and Brahms. A surprise encore may even be in the works! Rising percussion star Zuri Wells plays composer Keiko Abe’s awesome marimba concerto. Top soprano Mary Wilson joins for Mahler’s powerful 4th Symphony. And we begin with one of the most famous of all themes – Finlandia! Music of MSO’s own Robert Patterson, and world premiere written for MSO by Michael Gandolfi, commissioned by Paul and Linnea Bert! One of the most famous of all piano concertos, and Stravinsky Firebird make this a can’t miss experience! Maestro Moody takes MSO on a complete journey of “Don Quixote,” from the great depth of compositions by Ravel and Richard Strauss, to the power of “The Impossible Dream.” Grammy winner Zuill Bailey headlines this amazing concert! The world’s most famous choral work in concert! Orff Carmina Burana will feature 230 voices on stage! Concert opens with a new work exploring stories of The Creation from Grammy nominee/Kennedy Center composer Mason Bates! An Orchestral Tribute to Soul & Pop! 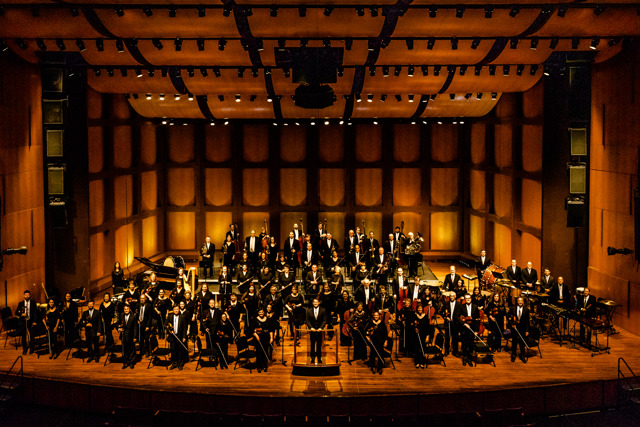 MSO kicks off the Pops season right! Singer Gavin Hope (star of Rent, member of the famed a cappella group “The Nylons”) joins MSO and will have you singing and dancing to some of the greatest soul and pop hits ever recorded! MSO’s Magic of Memphis Holiday Spectacular! This year’s production will of course include beloved favorites, like the Christmas Carol Sing-a-long and Sleigh Ride. New features tell the touching musical story of a soldier trying to get home for the holidays, and a powerful new presentation of the Nativity. Make Magic your family’s new tradition in 2019! An Evening with Pop Superstar Amy Grant! From “My Father’s Eyes” to “Baby, Baby,” Tennessee’s own Amy Grant has been a mainstay of Christian Contemporary and Pop culture for nearly forty years! MSO is honored to welcome this multi-Grammy winner to Memphis, for an unforgettable night at the Cannon Center! Robert Moody leads pops, featuring Rhapsody in Blue! A true “Night at the Pops” with Maestro Moody, MSO, and a star-studded cast! Jazz star Tamir Hendelman has performed Natalie Cole and Barbra Streisand, and his rendition of Gershwin’s “Rhapsody” is not to be missed! Vanessa Thomas travels the world with Doc Severinsen, and wows audiences with music from Puccini Opera to Gospel and Blues. MSO plays the great Sorcerer’s Apprentice, and Robert Moody hosts and conducts. It doesn’t get better than this! British conductor makes his American debut with music of European master composers Weber, Mozart, and Beethoven. Pianist Michelle Cain debuts with MSO, and a powerful work of George Walker rounds out the program! Four violin soloists (from both MSO and the UofM, as well as two young prodigy violinists) will be featured on this concert. Vivaldi’s most famous “Four Seasons” is inter-woven with the amazing Tango-inspired “Four Seasons” of Argentina’s great composer Astor Piazzolla! Two powerhouse opera singers, Mahler’s powerhouse “Song of the Earth,” and Ravel’s amazingly beautiful music inspired by five stories from “Mother Goose.” A perfect concert for Spring, and a perfect way to conclude our phenomenal season!